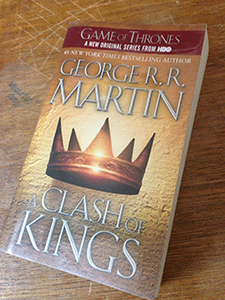 - A Clash of Kings is the second book in the acclaimed A Song of Ice and Fire series. 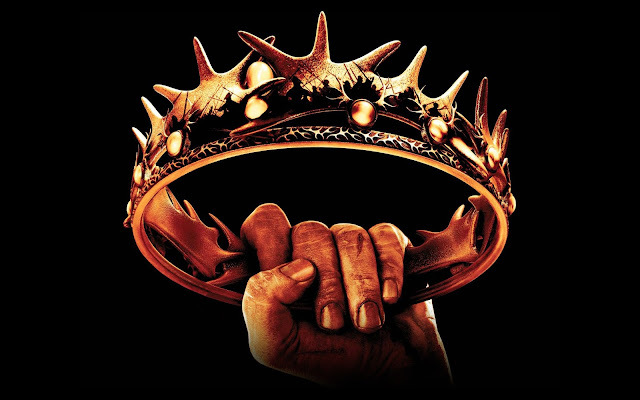 - The second season of Game of Thrones TV series, which was aired starting April 1, 2012, was based on this novel. - A limited illustrated edition with illustrations by John Howe has been released in May 2005 by Meisha Merlin. - Aside from the minor character's point of view in the prologue, the book has nine main characters' point of view. Here's the deal: I was already in love with George R. R. Martin's A Song of Ice and Fire series, all thanks to the badass first book of the series, A Game of Thrones. Unlike many trying hard series, the succeeding books almost always belong to the sophomore slump that only the best series came out from alive. When I read this book a year or two ago, I really believed A Clash of Kings is one of those sequels that gets better and better, the likes of which are only rarely seen: The Two Towers by J.R.R Tolkien, The Great Hunt by Robert Jordan, Harry Potter and the Chamber of Secrets by J.K. Rowling, Shadowplay by Tad Williams, and The Da Vinci Code by Dan Brown are just some of them. The sequel which shows no sign of slacking doubled the excitement, conflict and complexity that the first novel laid out for the readers. Don't expect to understand the novel if you've skip the first book, because it is really essential that you read the series in a ladderized way. But of course, like almost every series, you don't get satisfied of the ending, not because it is really bad, but because you can't wait anymore for the next book in the series that you hope to maintain all these excitement, if not exceed it.